Enos Bus Services is an independent existing business that provide a luxury buses for transportation of group of people, organizations, Mining, municipalities, universities and Public Transport in South Africa and nearest countries. 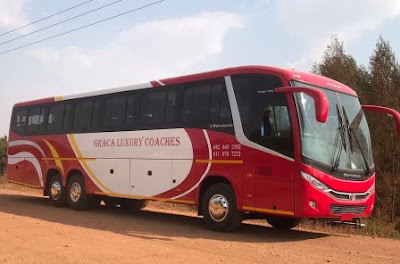 Enos Bus Services also have it's sub company of passenger transport named Graca Executive which work hand in hand with the parent company to serve their customers. They are all uses the same color as their identity for local and international buses. 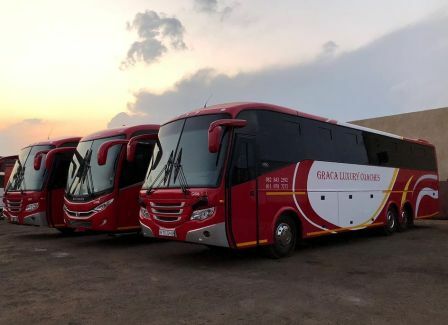 Enos Bus Services & Graca Executive invest in the modern bus models for comfortable trip of their costumers. 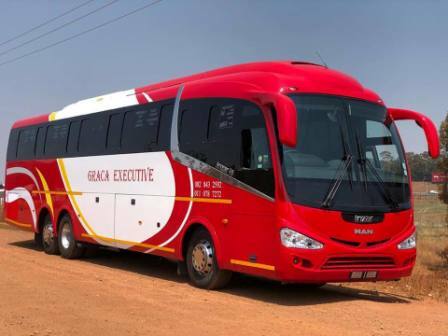 They use Scania Marcopolo buses like G7 and Torino, Scania MCV with locally assembled bodies in SA and other types of fleet. 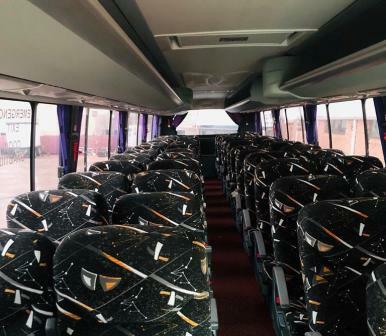 They also have small shuttle mini bus for short distance travel. Providing an enabling environment conducive to the provision of an affordable, convenient and safe mode of public transport. Keeping abreast of trends and developments in the sector to meet changing customer and stakeholder needs; and Creating of strategies that lend support to socio- economic growth in the South Africa principles to create a secure future for the company and its people”. They have a specialized team of professional Motor mechanic, who works on daily biases to make sure that their vehicles do not get breakdown or stuck. Public transport used for touring or any trips around or outside South Africa. They offer a guarantee for their products and services they deliver. They endeavour to supply the correct product for the application maintaining the highest possible quality standards. They offer a fair prices for the services and products they provide to their customers. 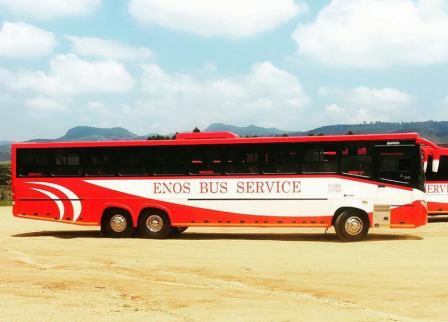 Enos Luxury Coaches shall offer quality product and services and value of money, at least comparable with that of its own competitors. 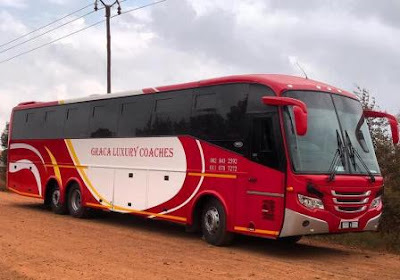 Enos Luxury Coaches also offer a hiring services for their fleet from a mini bus to the big one for Individual group or even a organization, schools, churches, sports and other groups. 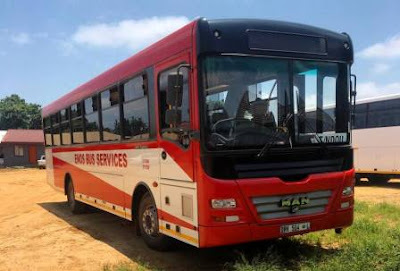 Enos Bus Services & Graca Executive plays both Local and International routes. Thought we are still looking an information for local routes but below we listed an international routes for these bus companies.